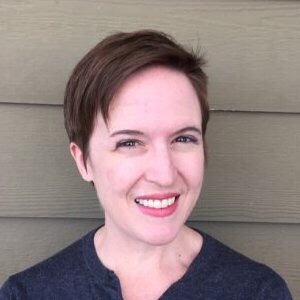 Today, it is my pleasure to interview fellow fangirl, Amy Richau, who writes about her geeky obsessions, like Star Wars, for a variety of websites. I became aware of Amy through her articles at FANgirl Blog and of course through her posts on twitter account, @amyrichau. 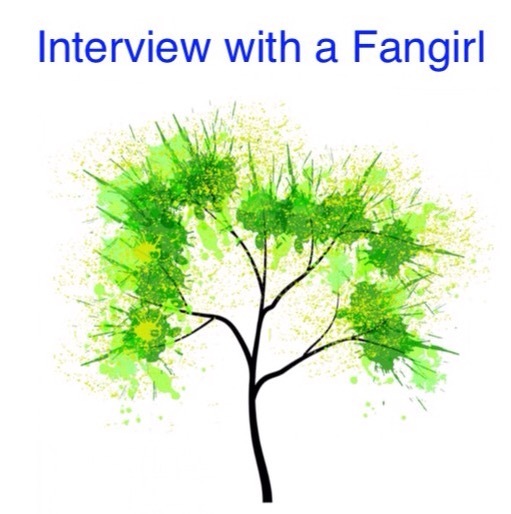 Welcome Amy to The Adventures of The Everyday Fangirl and thank you for taking the time to answer these questions about being a Fangirl. I think I really knew in the late 1980’s and early 1990’s when I was collecting anything Star Wars related in thrift shops and antique malls. Even though there had barely been anything new Star Wars related for so long I still enjoyed having a connection to the films. I had a photo of George Lucas, Steven Spielberg, and Francis Ford Coppola in my high school locker around this time. That was a sure sign I think! I have mixed feelings about fandom and social media. I love to see images of artwork, get links to new articles, and get recommendations on new books, movies, and TV shows – but it’s hard to get that and also block out all the negativity. If someone writes thoughtfully about a subject I’m interested to read it, even if I might not agree with them. But so much of what I see, on twitter especially, is just trashing on things – and then people complaining about people trashing something. That kind of negativity cycle is a total turn off to me. I’m always looking for more analytical discussions of films and TV shows and less of the “hot take” type of content. I just recently started to listen to a few podcasts which I think are great opportunities to have deeper discussions and conversations. My friends aren’t huge Star Wars fans and I have only met one person in real life that I “met” through Star Wars social media so I think it would be very fun to go to a convention that had a lot of Star Wars content to meet some of the people I have chatted with or followed online. I have a vague memory of seeing Star Wars in the theater in 1977, and I remember being terrified Yoda was going to hurt Luke when I first saw The Empire Strikes Back. When I saw Return of the Jedi in 1983 that was the first Star Wars film that I truly fell in love with – and it was the first film where I wanted to jump into the movie and hang out with the characters. I’ve loved Star Wars ever since. I think it’s always great to hear what has inspired others in their lives. And it’s important to know that even though you might feel like you’re the only person who loves something in your small town or school that you are not alone. And that being different or loving things that are different than what your peers love is not only ok – it’s fantastic. I felt for many years that I should hide my Star Wars fandom, in part because it wasn’t cool and in part because I was female. Even when I had the chance to work at Skywalker Ranch in their film archive for a few months right before Revenge of the Sith came out I felt like I couldn’t be honest about how much I loved the films – which seems crazy to me now. But I only interacted with a few people and some of them, believe it or not, weren’t Star Wars fans. So now pretty much nothing makes me happier than seeing women in their twenties embracing Star Wars and seeing fans of Star Wars get jobs working on Star Wars related projects. Twin Peaks, Disney, Marvel & DC more and more. I’m also a huge classic movie fan. Oh, and I love the Denver Broncos – I can’t leave them out of any fan conversation! It’s nice to know there are people who share my sometimes crazy obessions with geeky things! I am starting up a blog about classic films called See Classic Films (seeclassicfilms.com).